Tours begin at 8 p.m.; call for reservations. 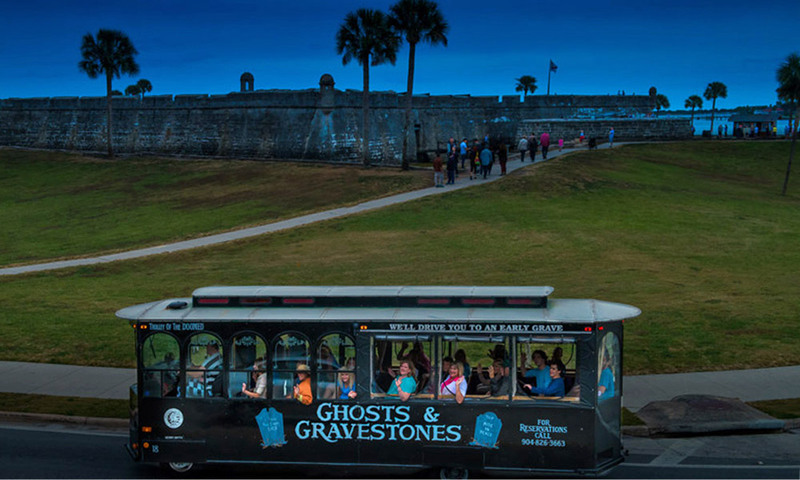 The Ghosts & Gravestones Frightseeing Tour invites guests on a spooky adventure to experience St. Augustine's darker side. 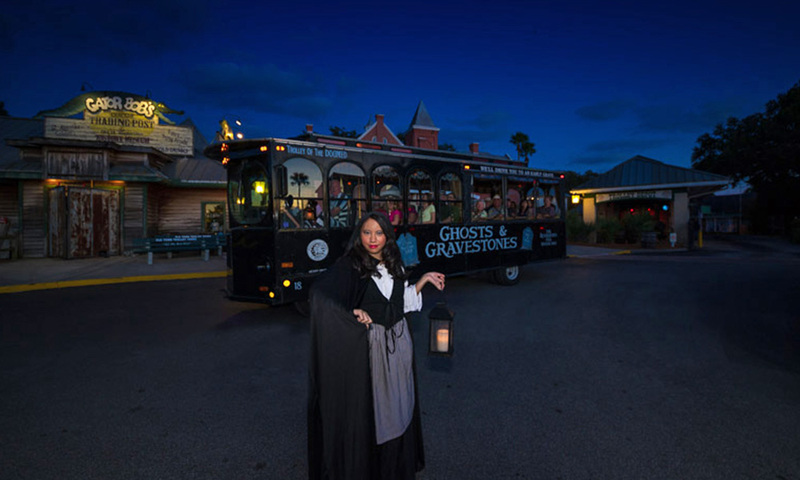 The tour is presented by Old Town Trolley Tours and passes by the Huguenot Cemetery and some famously haunted buildings in the downtown area, while guests are entertained with the strange and unusual tales of murder, mayhem and tragedy of St. Augustine’s history. The award-winning tour includes a stop inside the Chamber of Horrors at Potter's Wax Museum, where guests get a close-up look at some of the most infamous figures of history. Finally, the tour takes visitors to possibly the eeriest building in town, The Old Jail, where more shady characters await them. Listed on the Florida and National Registry of Haunted Places, the Old Jail has been the site of countless supernatural occurrences, including apparitions, cold spots and unexplained banging noises. Tour participants are led inside the Old Jail to do some ghost hunting of their own. 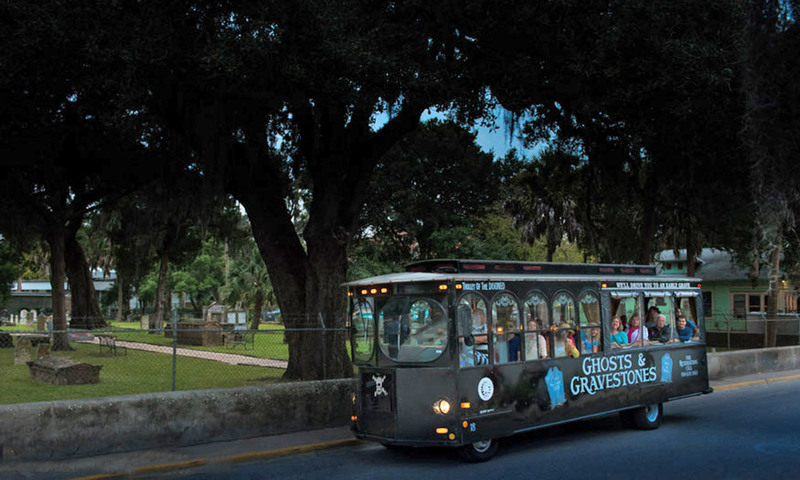 Ghosts and Gravestones was voted Best Ghost Tour by Best of St. Augustine in 2010, 2011, 2012, 2014, and 2015. 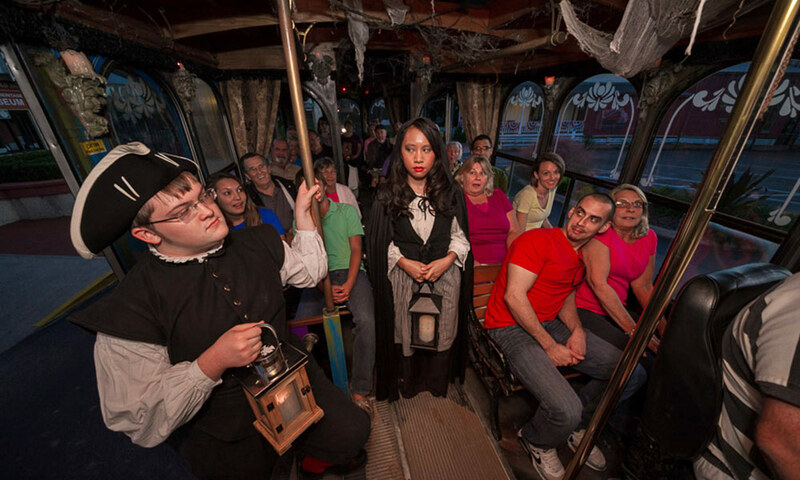 Tours depart from the Old Town Trolley Welcome Center at 1305 N. Ponce de Leon Blvd., beginning at 8:00 p.m. each night, with more tours added every twenty minutes based on demand. The tour is approximately an hour and twenty minutes long. Reservations are a must, and can be made by calling (904) 826-3663. 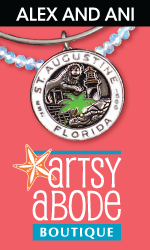 Tickets are $26 for adults and $14 for kids ages 6 – 12. This tour is rated PG13, so parents are asked to use discretion when taking children on the tour. For more information, or to purchase tickets, please visit here. All photos are courtesy of Historic Tours of America. from the driver, our guide, to 'charlie' the evening was so much fun. getting to go inside the old jail in pitch blackness was so cool. one of the people on the tour had 'something' whisper in her ear inside a cell. so much fun!